The Murrell Home was built in the new Cherokee Nation about 1845 by George M. Murrell. Murrell was a native Virginain who married Minerva Ross in 1834. Minerva was a member of a wealthy mixed-blood Cherokee/Scottish family, and the niece of Chief John Ross. The Tsa-La-Gi Ancient Village has been hailed as one of America's finest living museums. 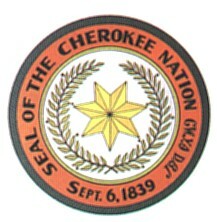 It recreates the lifestyle of the Cherokees during the 16th century, prior to European contact. Realistic in design, the Village captures the living conditions of the Cherokee People.